From partnering with NBC and Snapchat for the Olympics, to being one of the first adapters of Facebook Live, BuzzFeed has been at the forefront of social change and connectivity. BuzzFeed’s latest plan is to place more importance on video for its recently separated news and entertainment departments. When it comes to distribution, these departments will turn to Rachel Christensen, BuzzFeed’s director of social media, to make sure their content will jibe on various social platforms. Christensen and her team of 16 strategists analyze the audiences on each social platform and repackage BuzzFeed’s entertainment content accordingly. 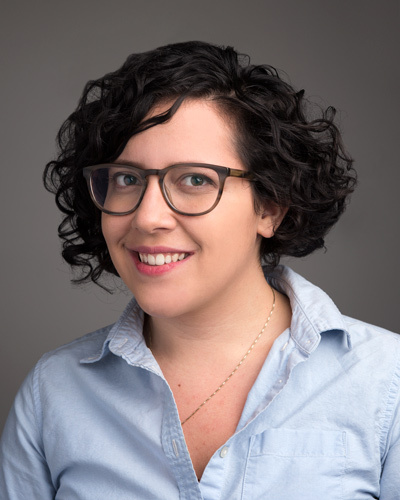 Although her job is technically editorial, Christensen also teaches BuzzFeed’s marketing department about what kind of content works best for each platform. It’s a team that drives BuzzFeed’s 7 billion monthly global content views and 200 million global monthly unique visitors. And 75% of those unique visitors come from BuzzFeed’s 250 social handles. In fact, BuzzFeed lands in the top 10 media publishers in the United States with the most engagement on social media, according to Statista. Christensen sat down with Campaign US to discuss 9 of the best social strategies all content producers—brands, agencies and publishers—should adopt. Content creators should concentrate on giving people what they want to see or risk losing followers, according to Christensen. This is not to say that BuzzFeed doesn’t believe in page views. 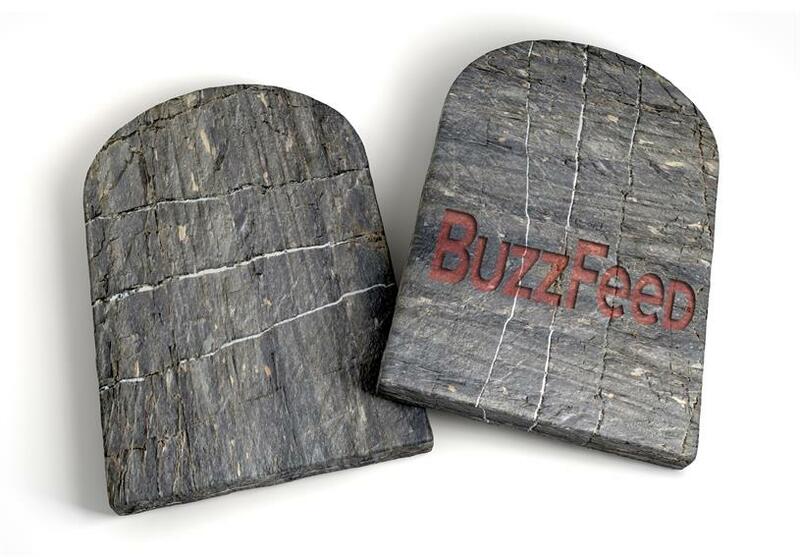 It’s still the end goal; however, BuzzFeed takes a "long-tail approach." For instance, this Facebook post with a video of a naked Donald Trump statue didn’t link to an article, but saw more than 8.5 million views. "We’ve found that people will want to click through to the website and read the story there," said Christensen. To give audiences what they want, it’s important to understand how conversations begin on each platform. Data plays a large role in this, and BuzzFeed has its own "secret sauce," an algorithm used to discover what is performing best and where, according to Christensen. "When a story goes out on BuzzFeed.com, sometimes it makes sense to post it as a link on Facebook, but if it goes on Tumblr," she said, "sometimes we need to repackage it in a different way, like adding in a video clip." On Facebook, Facebook shared the how-to video, but on Pinterest it pinned the before-and-after photos. Out of all of the platforms, Christensen said Tumblr is the hardest to navigate, mostly because it’s a young, creatively-driven group that follows specific blogs and topics. "Understanding that community is really difficult, and a lot of publishers don’t want to put their efforts and resources into it," said Christensen. But, BuzzFeed has found that the Tumblr community is extremely helpful when it comes to finding content that will go viral. Case in point: "The Dress," a February 2015 BuzzFeed.com article that has now been viewed more than 37 million times. It was a Tumblr user who originally sent along the now-famous photo in a message to BuzzFeed. "Early adapters run the internet now," said Christensen, "It’s great to be one if you play your cards right." BuzzFeed was one of the first to use Facebook Live and Snapchat Discover, and is still experimenting with WhatsApp and Kik. But even with Buzzfeed’s considerable resources, it chose not to spend too much time or money on each test-run. BuzzFeed’s first attempt at Facebook Live didn’t require much—in April, BuzzFeed staffers used rubber bands to make a watermelon explode, bringing in nearly 11 million views. "If you want to test really well and quickly, you should be cheap about it and not suddenly hire a whole team of people to do this one thing that you’re not sure will work," said Christensen. BuzzFeed is going big on video because people crave it, said Christensen. "The feedback we’re seeing is, ‘I really want to see this as a video and not a post or picture,’ which is awesome," she said. "It used to be ‘Oh my god, I clicked on this expecting to read something, and now I’m stuck.’"
For example, this two-minute video in which drunk girls are surprised with puppies (lots of puppies!) was viewed nearly 5 million times on Facebook. Christensen also believes that people are putting more value on their privacy online, and platforms of the future will make this a priority. Therefore, the amount of one-to-one sharing is likely to increase. One of the avenues BuzzFeed is currently exploring is the world of bots. In July, BuzzFeed developed "BuzzBot," a bot for Messenger that gathers and sends news reports to users. …And people especially share content if the connection is an emotional one. "They need to see something and realize ‘Oh, I thought I was the only one’ or ‘this tells the story about me in the world,’ even if it happens subconsciously," said Christensen. "People connect more with something that feels true to them than something that is crazy aspirational," said Christensen. She points to Taco Bell, Casper, StreetEasy and Dollar Shave Club as brands that have conquered this relaxed vibe. When content is inclusive, everyone can relate to it, said Christensen. This. in turn, produces more shares. "We make content for everyone and not about everyone," she said, "And I think people really respond to that." People will continue to share evergreen content as long as it’s relatable, said Christensen. Also, according to Christensen, it’s easier to share this type of content on multiple platforms at once. If a piece of content has enough universal appeal, BuzzFeed will share it on up to 20 different platforms. In order for this repackaging process to be easier and faster, the 16 members of Christensen’s team are divided into four different groups. One team, the largest, is exclusively focused on Facebook. Another concentrates on the valuable platforms that don’t provide as many click-throughs, such as Instagram, Twitter, Tumblr and Vine. The third team works on "uncharted territory," (live video, Snapchat stories and anything new). The last team is reserved for coordinating international efforts. This international team had a busy time repackaging content around the Olympics. "Rise to the challenge and make good content that people will want to see as much as their friend’s baby," said Christensen, "If you can accomplish that, you can rule the Internet."